Rapper General Reezy, seen here in a photo posted on his Instagram, was shot dead on Weds., Aug. 8, 2018, during a drive-by shooting that left one other woman dead and four other men injured, according to police. The rapper General Reezy and a woman were killed Wednesday night in a drive-by shooting in North Philadelphia that also left four people wounded, according to police. Reezy, 32, whose legal name was Averill J. Davenport, was shot in the chest about 9:50 p.m. at 12th and Huntingdon Streets, police said. The woman, identified by police as Niesha Cooper, 34, also was shot in the chest while four men between the ages of 27 and 51 were injured by gunfire, one of whom was reported to be in critical condition. 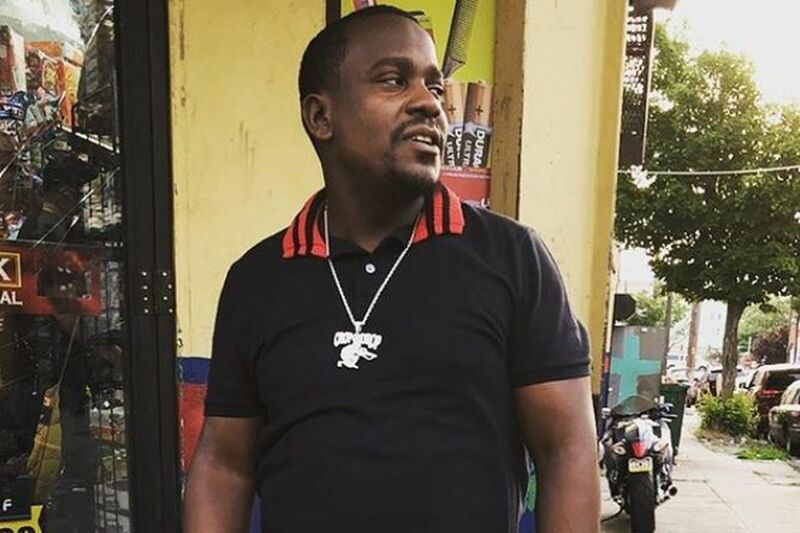 Reezy's death generated reaction on social media, including from the rapper Meek Mill, who said in a tweet and Instagram post, "RIP … U had potential man." He also posted an Instagram story of advice he had offered Reezy with the caption, "rest up homie." Reezy's sister, Bayonah Davenport, 20, said Thursday that her brother had two sons, ages 15 and 1, and that he "was all about his music." He had been scheduled to perform at the Theater of Living Arts on South Street this month as part of the "Stop the Violence Tour," according to online event listings. Homicide Capt. John Ryan said Thursday that police were in the early stages of their investigation. According to a police summary of Wednesday's incident, investigators believe shots were fired by someone in a gray or silver van traveling west on Huntingdon and then south on 12th. Ryan said 12 shots were fired from an AK-47 or similar-style assault rifle. Police believe that one weapon was used, Ryan said, but that two people were in the van. He said investigators did not yet have descriptions of suspects. Homicide Capt. John Ryan speaks about a drive-by shooting that killed two people and wounded four others the previous night. Ryan called the shooting a "very reckless and dangerous act," and said the style of rifle used was rare in city homicides but causes "devastating injuries." "It's a weapon of war," he said. Reezy and Cooper were taken to Temple University Hospital, where each was declared dead shortly after 10 p.m., police said. A 30-year-old man was in critical condition there with a gunshot wound to the chest, police said. Also taken to Temple, police said, were a 51-year-old man with a gunshot wound to an arm, a 27-year-old man with gunshot wounds to both legs, and a 34-year-old man with a gunshot wound to a leg. Police did not identify them or specify their conditions. Reezy had prior convictions for drug- and gun-related counts, according to court records. In 2007, he was found not guilty of murder after being accused of shooting a 46-year-old man outside a North Philadelphia bar. His most recent case was a 2014 guilty plea to drug counts, for which he was sentenced to 11½ to 23 months in prison, records show. Ryan said that the motive for the shooting was not yet clear, but that it "may be tied to other things in the neighborhood." He declined to elaborate.